The Texas Hill Country has long attracted visitors for its combination of outdoor recreation and historic towns, and in recent years it has developed into one of the most visited wine regions in the country. 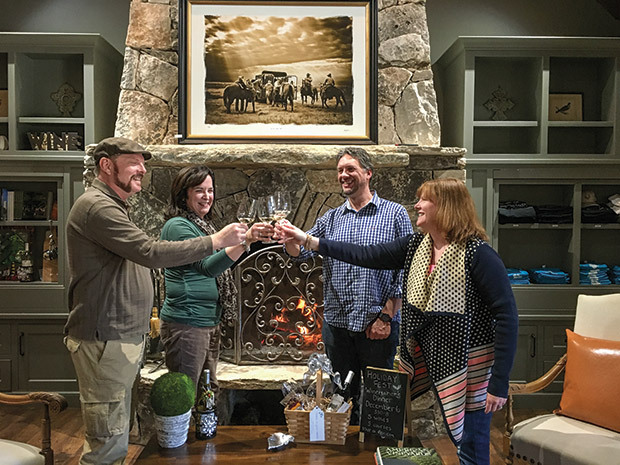 The Fredericksburg area and its “Wine Road 290” trail—a string of more than a dozen wineries along a 45-mile stretch of US 290—enjoys the lion’s share of attention, but there’s much to be found off the beaten track. Wedding Oak Winery, 316 East Wallace St. in San Saba. Call 325/372-4050. Fall Creek Vineyards, two locations: 1820 CR 222 in Tow (325/379-5361) and 18059A FM 1826 in Driftwood (512/858-4050). Perissos Vineyard and Winery, 7214 Park Rd. 4 W in Burnet. Call 512/820-2950. Pilot Knob Vineyard, 3125 CR 212 in Bertram. Call 512/489-2999. 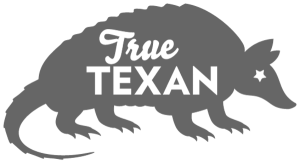 The three other wineries on the trail are Fiesta Winery in Lometa, Texas Legato Winery in Lampasas, and Pillar Bluff Vineyard in Lampasas. North of Fredericksburg along US 281 is the “Top of the Hill Country Wine Trail,” a collaboration of seven wineries in San Saba, Llano, Burnet, and Lampasas counties. These wineries, including Wedding Oak Winery, Pilot Knob Vineyard, Fall Creek Vineyards, Perissos Vineyard and Winery, Pillar Bluff Vineyard, Fiesta Winery, and Texas Legato Winery, draw wine tourists to the northern reaches of the Hill Country. On a recent Friday afternoon, my husband and I embarked north from Austin to explore these hidden wine gems. We planned an early Saturday morning start time, so we had arranged an evening stay in San Saba, the northernmost point on a circuitous route back south toward Austin. Touring these wineries requires a lot of driving, with at least 45 minutes between each one, so planning ahead is key. We decided to keep our final agenda to just four stops so we could relax at each destination. After stopping for barbecue at Cooper’s in Llano, we arrived at dusk to San Saba. Long known as the “Pecan Capital of the World,” San Saba is currently enjoying popularity as a tourist destination. Part of the credit goes to Wedding Oak Winery, which opened in 2012 near the town’s historic center. We checked in for the night at the Dofflemyer Hotel, a boutique inn named for builder W.C. Dofflemyer, who constructed the building in 1913 for the San Saba National Bank. We enjoyed a restful slumber, and after breakfast the next morning at the hotel’s ground-floor café, Oliver & Company, we were ready for wine. We strolled in to Wedding Oak Winery just as it opened. Named for a 400-year-old oak tree in town, the winery is the result of a business partnership led by Mike McHenry, a former chemical labs executive-turned vineyard grower and consultant. “I’d been growing grapes for more than 12 years when a friend came to me about opening a winery,” said McHenry, who relied on input from such established winegrowers as Jim Johnson of Alamosa Wine Cellars, Rick Naber of Flat Creek Estates, Gary Gilstrap of Texas Hills Vineyard, and Seth Martin of Perissos Vineyards. “The exciting part for me was the development of a new business that could bring people to San Saba,” he said. Housed in three historic buildings, the tasting room and winery offer an inviting tasting experience and beautifully made wines. Longtime winemaker Penny Adams specializes in wines made from French varietals like Viognier, Cinsault, Roussanne, and Syrah, and we happily sipped through her portfolio. We liked the floral characteristics of the Viognier and the silky smooth tannins of the Sangiovese, but our favorite was the TreVi, an aromatic white wine blend of Vermentino, Viognier, and Verdelho grapes. As we sipped through the tasting menu lineup, McHenry shared news of the winery’s upcoming expansion project in Fredericksburg. While this project will be a welcome addition to the Wine Road 290 trail, McHenry remains committed to the Top of the Hill Country trail, too. Our next stop brought us to Tow, site of Fall Creek Vineyards, one of the oldest wineries in the state. In the 1970s, after an inspiring wine-tasting trip through the Bordeaux and Burgundy regions of France, Ed and Susan Auler returned to Texas with a hunch that grapes could do well here. “This land was so rugged,” said Ed Auler. “It was so thick with cactus and mesquite that I had a hard time believing we’d be able to do it.” Yet succeed they did. Since those early days, Fall Creek has become one of the most lauded vineyards in the state, with tasting rooms and wineries in both Tow and Driftwood. Cruising up the main drive to the expansive estate house in Tow feels like being transported to France. 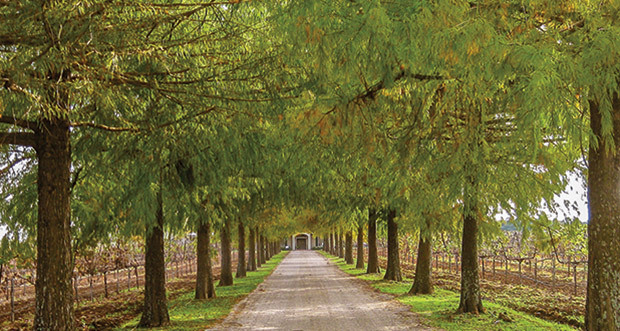 Framed by towering cypress trees, the road leads to the stately winery house where the Auler family has spent much of the past four decades building their legacy. While the Aulers continue to focus on red and white wines made from Cabernet Sauvignon, Merlot, Sauvignon Blanc, and Chardonnay grapes, the winery has expanded its portfolio to include wines made from such warm-climate grapes as Tempranillo (grown at the Salt Lick Vineyards in Driftwood). I especially like Fall Creek’s award-winning GSM (Grenache-Syrah-Mourvèdre) blend, which rivals the great wines of the Northern Rhône Valley. Thanks to the innovative winemaking techniques of Chilean winemaker Sergio Cuadra, Fall Creek is well on its way to being an iconic Texas wine producer. We enjoyed an hour or so chatting with Susan and tasting wines in the well-appointed tasting room (my favorites include the 2013 GSM) before making our way toward our next stop. As we skirted the winding curves of Park Road 4 into a valley of the Colorado River near Burnet, we were struck with the unassuming beauty of Seth and Laura Martin’s Perissos Vineyard and Winery. The beautiful vineyard boasts tight rows of lush vines, a family farm in back, and rolling hills all around. A former homebuilder, Seth constructed the winery’s vaulted tasting room and event space himself, with the help of his five children and many friends. It was a labor of love that has attracted myriad visitors to sample Perissos’ wines. Most of the wines here are made from estate fruit, meaning with grapes grown on-site. My favorites include the 2013 Aglianico, a lush, opulent wine with rich blackberry and hints of mocha, but those who prefer white wine should sample the broad floral and lemon-kissed palate of the winery’s award-winning Viognier. Next, we headed east toward Bertram. The dramatic elevation of the hills begins to subside into gently rolling pastureland. Though we missed a few turns, our GPS successfully navigated us along the farm-to-market roads to Pilot Knob Vineyard, where in 2011 Craig Pinkley brought his family to start a winery and a small vineyard, named for a large volcanic formation about six miles southeast. In the 6,400-square-foot tasting room overlooking the expansive property, Craig and his wife Beth walked us through a selection of Pilot Knob’s wines. We liked the PK Cuvée, a fragrant, refreshing white wine made from Viognier, Chenin Blanc, and Muscat Blanc grapes; and the robust Franco-Rojo Reserve, a delicious blend of Cabernet Franc and Tempranillo with notes of leather, dusty tobacco, and blackberry. Before returning to Austin, we lingered a while on the back patio with a glass of Chardonnay and a tasty charcuterie plate of meats, cheeses, and fruit served with a warm loaf of French bread. Sipping and savoring the bounty of our final stop, we watched a family playing Frisbee with their kids in the yard beyond and noticed a steady increase in visitors following our lead to the patio as evening set in. Before hopping in the car and heading home, we promised we’d soon be back.